At EGX 2016 we got the opportunity to play Yooka-Laylee, this was an older build to what Playtonic Games are currently working on but we absolutely fell in love with what we played. The first thing that anyone will notice when playing this game is how beautiful its look. 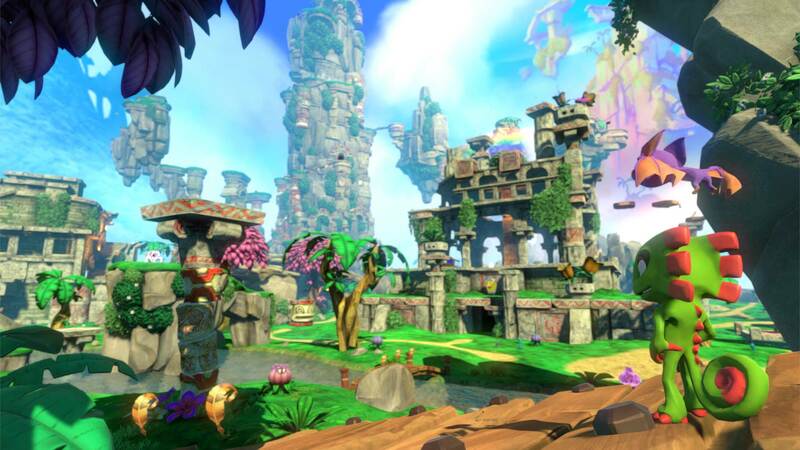 Playtonic Games have done some great visual work here as Yooka-Laylee manages to capture the same essence of the old-school 3D platformer and give it a next gen lick of paint. 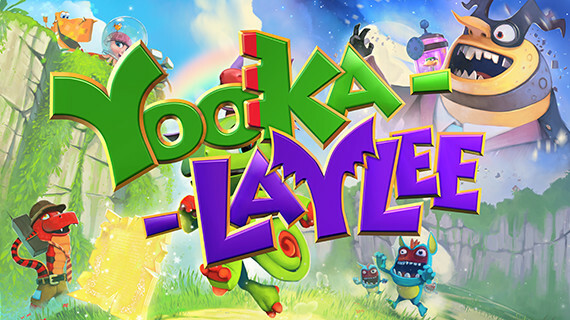 Fans of old Rare-Ware games like Banjo-Kazooie and Conker’s Bad Fur Day like myself will more than likely fall in love with Yooka-Laylee’s aesthetic. Gameplay wise Yooka-Laylee will come naturally to any gamer, whether you have played the likes of Banjo-Kazooie or not, the controls are very straight forward. After a second or two I found myself navigating around the level with ease, using the variety of moves both Yooka and Laylee had to offer in this build. You could say I possibly used the roll move a bit too much but you would be surprised how addictive one move could be. The level we played was mainly wild and plant themed, with Yooka and Laylee having the ability to chat with plant themed and animal like NPC’s. The level layout felt relatively free roaming with various NPC’s about to give you mini quests to fulfill. There were some great platforming sections which focussed on timing, some solid challenges that tested our skill and some challenging puzzles that had us scratching our heads for a bit. It was nice to see the amount of variation that the level had, the nice mix of gameplay never made the level feel stale or boring. We also got to meet Trowser, a snake who acts as your guide. He has a great habit of appearing in just the right place to tell you about a new move or ability you have learned. Speaking of Trowser, as you can already tell, Yooka-Laylee has a great sense of humour which is apparent throughout. Some of the jokes even come close to the same level of vulgarity as Conker’s Bad Fur day which will appeal to older gamers. The characterisation throughout was cute and also very well done, with each character including Yooka and Laylee themselves having their own different personalities and appeal. We didn’t think it was possible to become attached to a house plant with googly eyes. Yooka-Laylee is both charming and addictive! 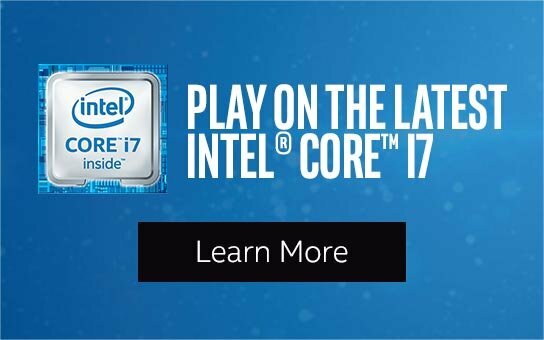 We cannot wait for the full game to come out on the 11th of April 2017. Here is a list of some of the more notable characters you will meet in Yooka-Laylee. This list is designed you give you a taster of the sort of characters that will feature in the game. 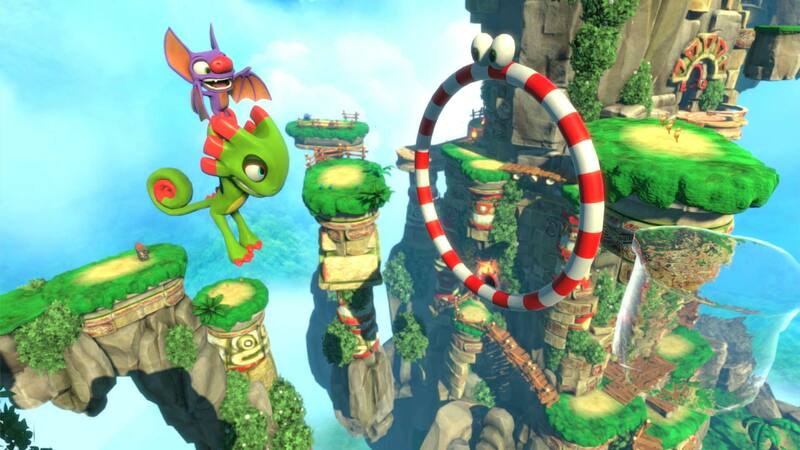 Yooka-Laylee Gameplay Mechanics, Storyline, Trailers And More! Much like Banjo-Kazooie, the game stars two protagonists, a chameleon named Yooka and a bat named Laylee as they embark on a quest to overthrow the meanest of bumble bee dictators, Capital B.